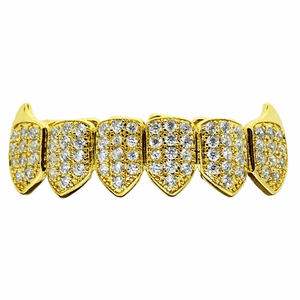 Best Grillz™ lower fang teeth hip hop grillz. 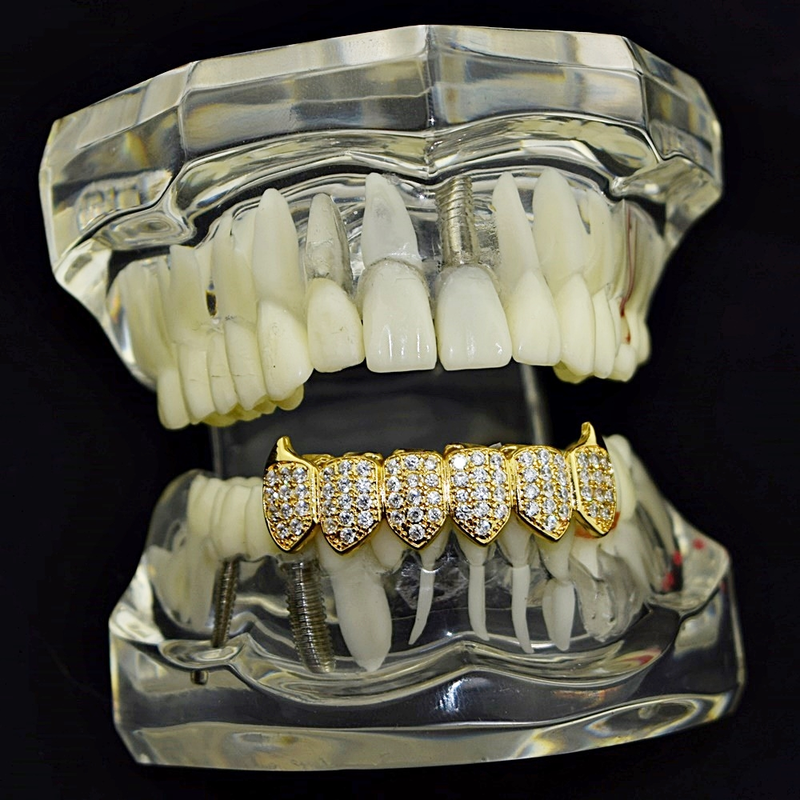 Dazzling 18k gold plated over brass metal. 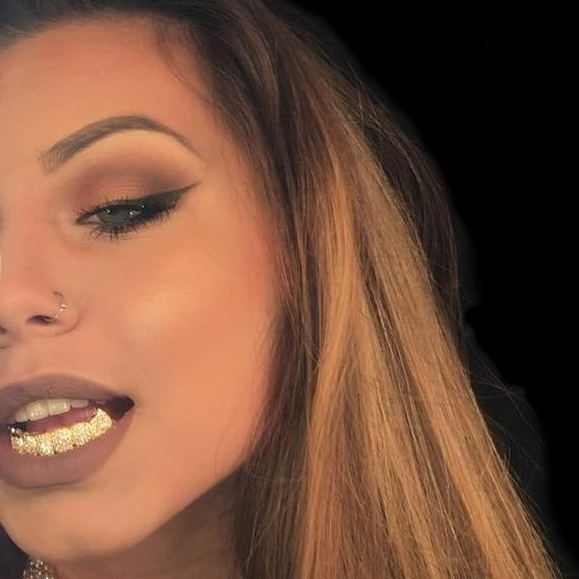 Bling grillz are iced-out with real CZ stones. 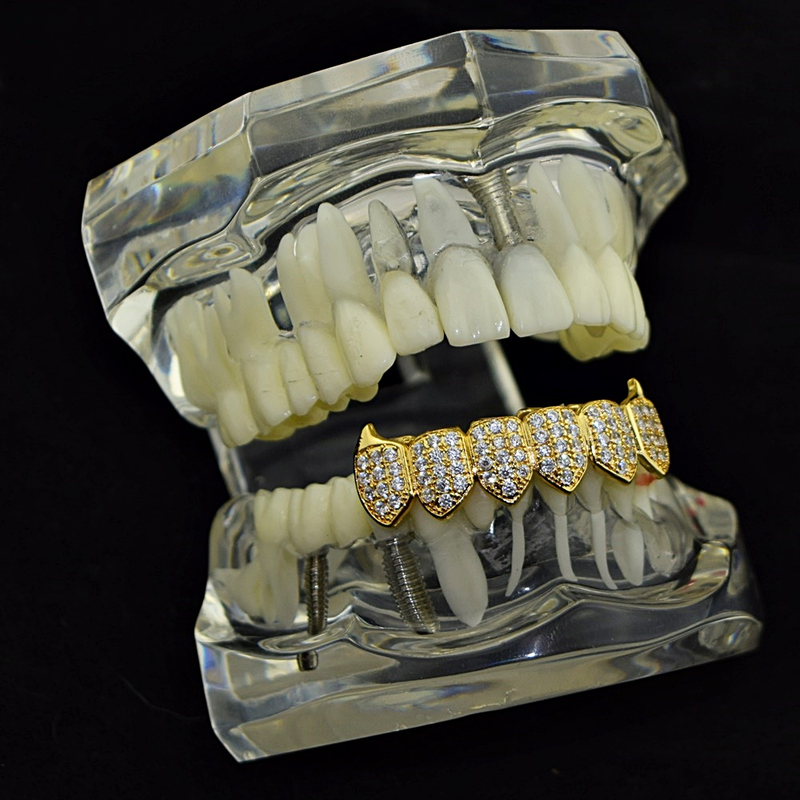 One silicone molding bar and instructions. 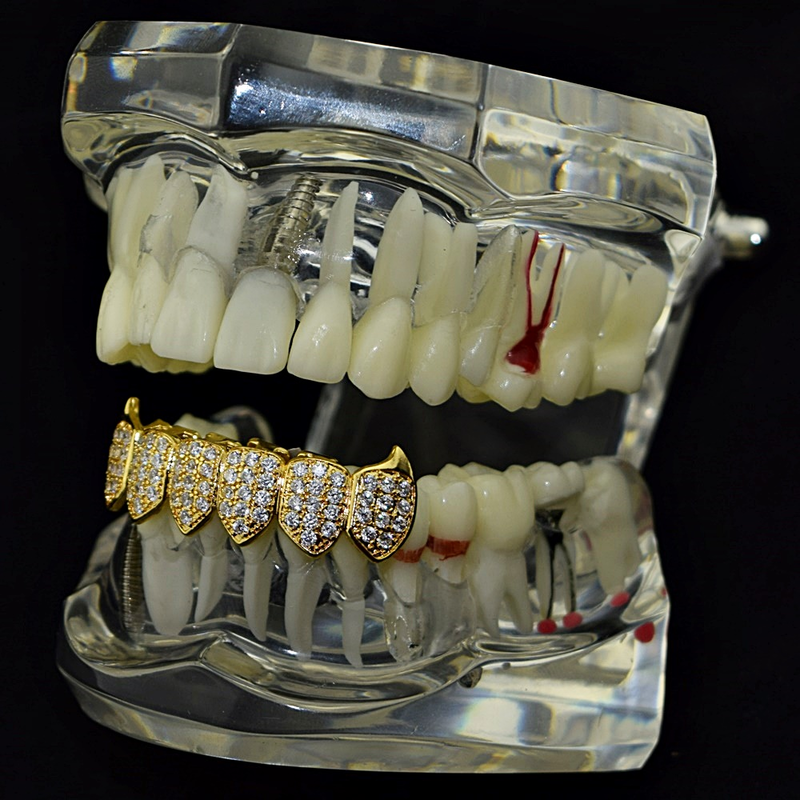 Real looking gold grillz made in Korea. 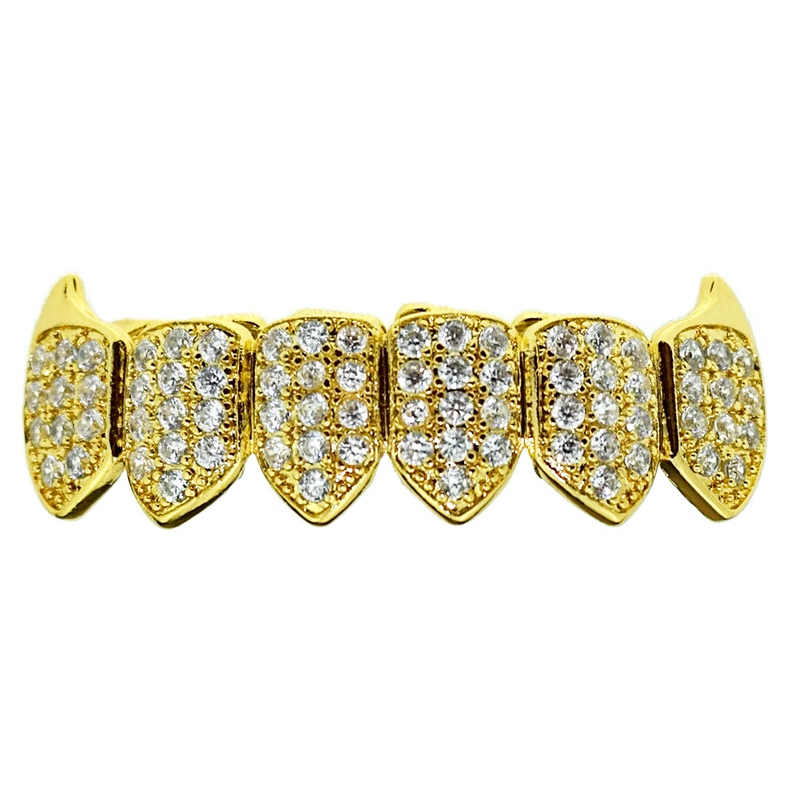 Get your fang on with our vampire grillz.